For establish connection with another device in bluetooth we need to add that device in our OS .To do that in programmatically we have to write below code. 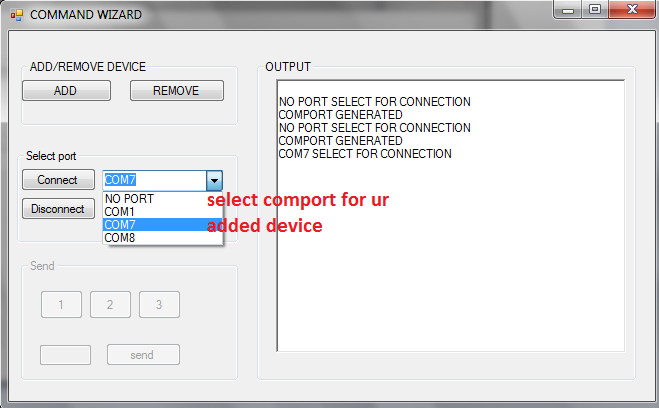 before connection u have to select ur required port, only user can know which port are using the device. 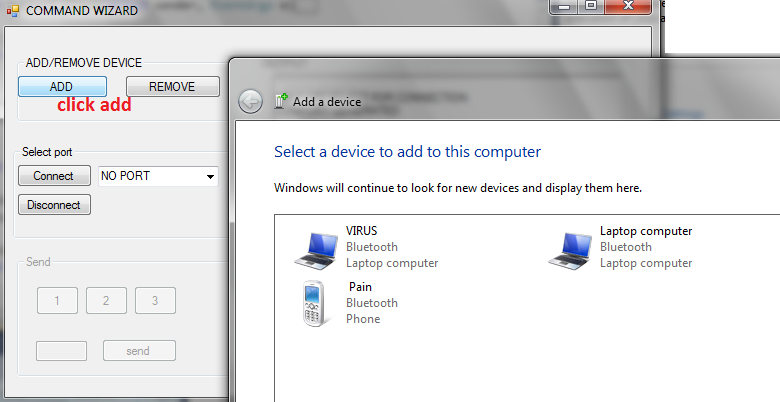 u have to select that port from here. the receiver will get this data in his hyper terminal. 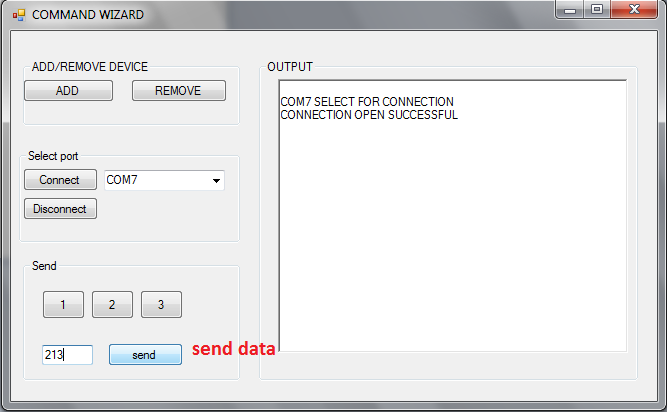 next i will show how to send files and also receive. 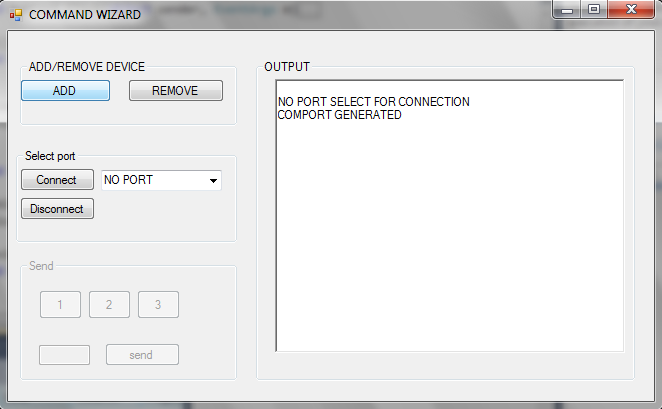 This entry was posted in C#, Winform app and tagged add device c#, bluetooth, bluetooth add without dll, c# bluetooth, c# win7 bluetooth, c# win7 device add, com port, windows 7 bluetooth c#, winform bluetooth device. Bookmark the permalink. If I want to use this code on windows xp then can i need dll files & which dll files. just write the correct path in process.start(‘ ‘). I’m a beginner and trying to use C # link Bluetooth. Please send the source code @ chipavoot@gmail.com I am unable to download the source code. It seems your code is very helpful. I m finding something like what you did …..it will be really a superb help for me if you send the full source code at my email address……. I’m a also beginner and trying to use C # link Bluetooth. Hello, project link is broken,please renew link. Thanks for the great post. Can you please mail me your source code ( some firewall issue in my company) . It will be awesome. aumsomnath777@gmail.com. Hello~~ please send source code to mail ~ Thanks. please can you mail me your source code. plz. send me the full source code indz_dups@yahoo.com. we highly needed it for our project. please send the full source code to raghuvanshi.bhawna29@gmail.com,I realy need this. It seems very helpful.I am unable to download due to link is not working. I’m also interested in the source code. Its a really nice blog for me but i cannot download the file, please let me know how i can download it OR you can also send it to my email address milan.your12@gmail.com . I am looking forward to hear from you. As far i read about your project it was good.